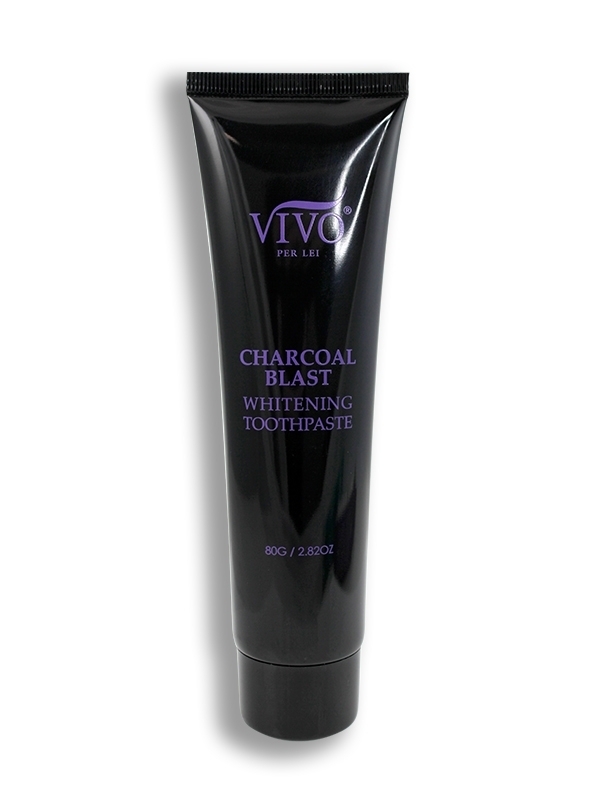 Discover this natural solution to brighter and whiter teeth! This healthy alternative is uniquely formulated without toxic ingredients, bleach, or fluoride to help reduce stains, improve gum health, and freshen breath. 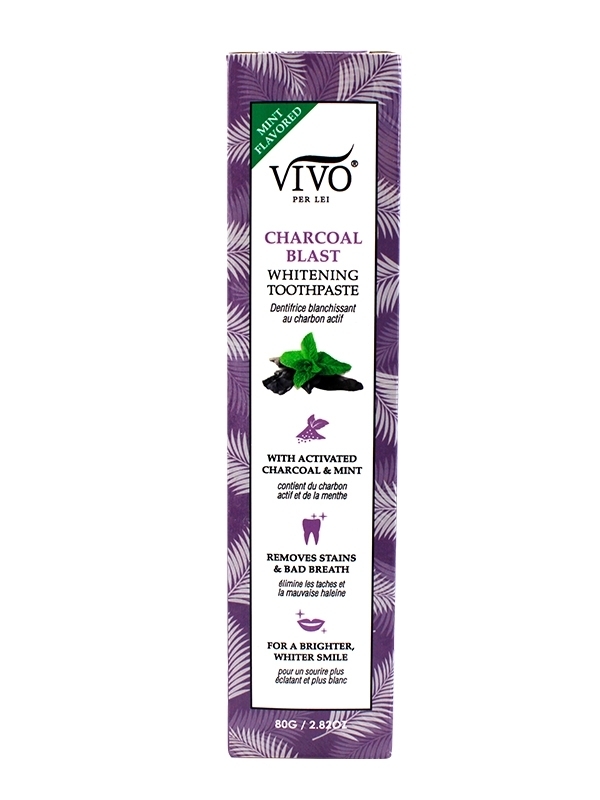 Activated coconut charcoal powder absorbs toxins and bacteria and will also help prevent new stains from forming. For best results, use 1-2 times per week. Carefully dab a small amount onto your wet toothbrush. Brush your teeth for up to 2 minutes and then rinse your mouth thoroughly. 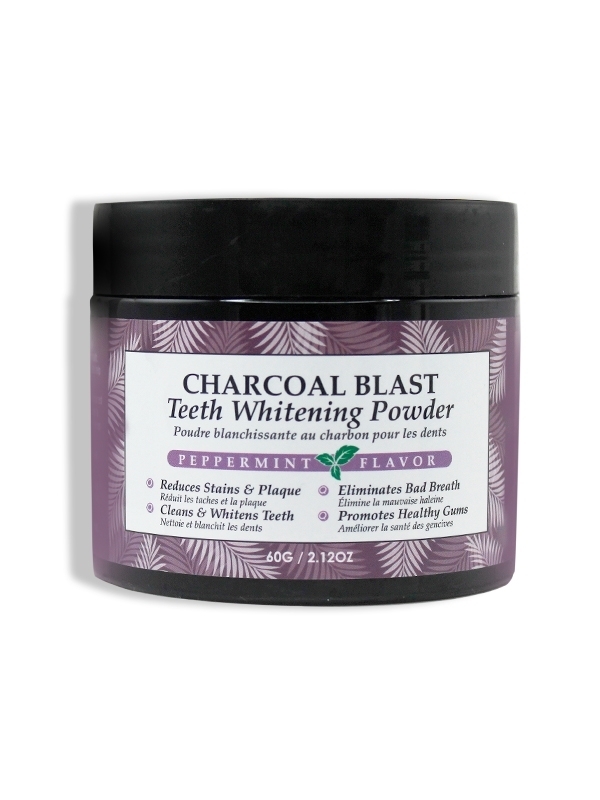 Activated Charcoal powder(Cocos Nucifera Shell Powder), Peppermint. 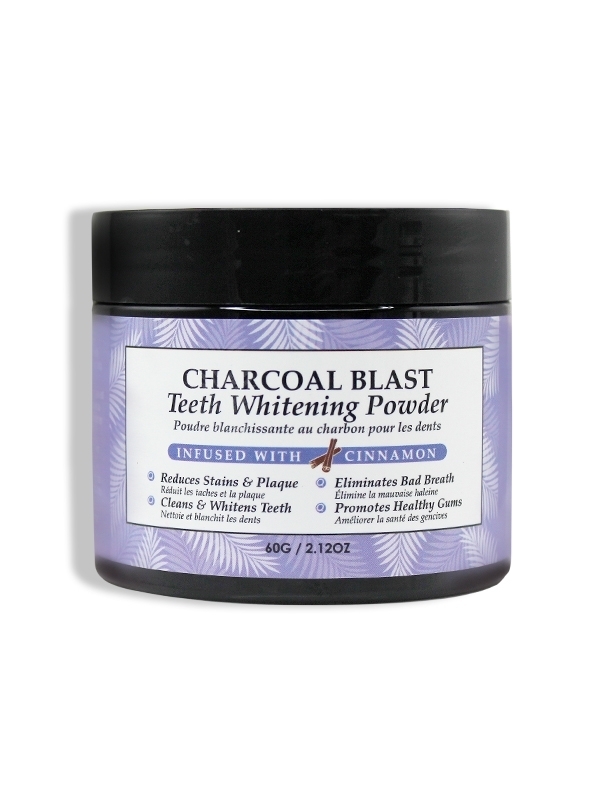 Charcoal Blast Teeth Whitening Powder is not intended for treatment of any illnesses or medical conditions. Do not swallow. In the event that any product has been swallowed, please contact poison control directly. Discontinue if any irritation occurs. Do not use if you currently have any open sores in or around your mouth. If you have a pre-existing medical condition or are pregnant or nursing, please consult your doctor. Not recommended for children under the age of 18.